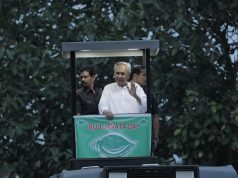 Bhubaneswar,: The heritage walkers of Ekamra Walks, Old Town Circuit today saw the Rukuna Rath (chariot) of Lord Lingaraj near the temple on the Bada Danda or Grand Road and knew about the unique car festival of Lord Shiva. They also inquired about the traditions associated with the festival and how the lord spends a brief period in his aunt’s house at Rameswar temple, also popularly known as Mausimaa temple in Bhubaneswar. It can be mentioned here that the tugging of the chariot was postponed yesterday and the devotees have to pull it today afternoon. However, the heritage walkers felt blessed as they could see Lord Lingaraj atop His Crariot nicknamed Rukuna. 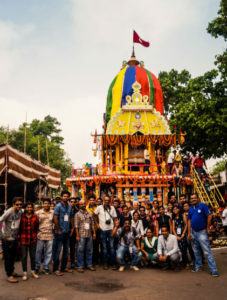 The colourful chariot is made with fresh wood supplied by the Temple Administration with the help of traditional carpenters, who are doing the same job years after years, generations after generations, making it a magnificent cultural link of the Divinity with the common mass. 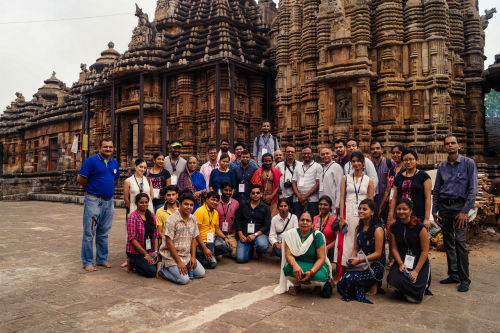 There were 45 heritage walkers today comprising visitors from other states, architects from Delhi working on city-based projects, Odissi dancer from Italy and locals visitors from the Temple City and across the state of Odisha. There were several elderly with more than 60 years of age and even one came with a walking stick defying all difficulties of age just for his love for heritage and exploring the beautiful monuments. Nandan Rahane, lecturer, poet and author from Nasik came to the Temple City of India for the first time with her daughter Mallika, but made time to join Ekamra Walks in the Old Town. “This was my first visit to the city, but my decision to join Ekamra Walks became very fruitful as I found it extremely engaging, educating, entertaining and knowledge boosting. I am really impressed with the beautiful art work by the Kalingan artists and sculptors, who had created poetry in stone,’’ said Mr Rahane. 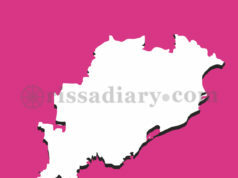 Mallika, also expressed her pleasure over exploring the city and the beautiful monuments. “I liked the Odissi recital at Art Vision, the dance school established by Odissi Guru Padma Shri Ileana Citaristi and the way she explained Odissi to the visitors at her institute. The dancers also did a wonderful job,’’ added Mallika, who was also a first timer to the State Capital. Architects Udit Mittal, Manisha and Girish Kumar, who are from School of Planning and Architecture (SPA) New Delhi and are working as professionals here in Bhubaneswar also enjoyed their time at the walk. “Since two years I am working in projects in this city and regularly visiting the place, which is dotted with so many beautiful temples. We need to incorporate heritage education in schools so that more kids would be interested to study architecture, conservation and related subjects so that we can churn out more and more experts in this field,’’ said Udit.